The Legacy Machine 1 takes its final bow in an 18-piece limited edition. 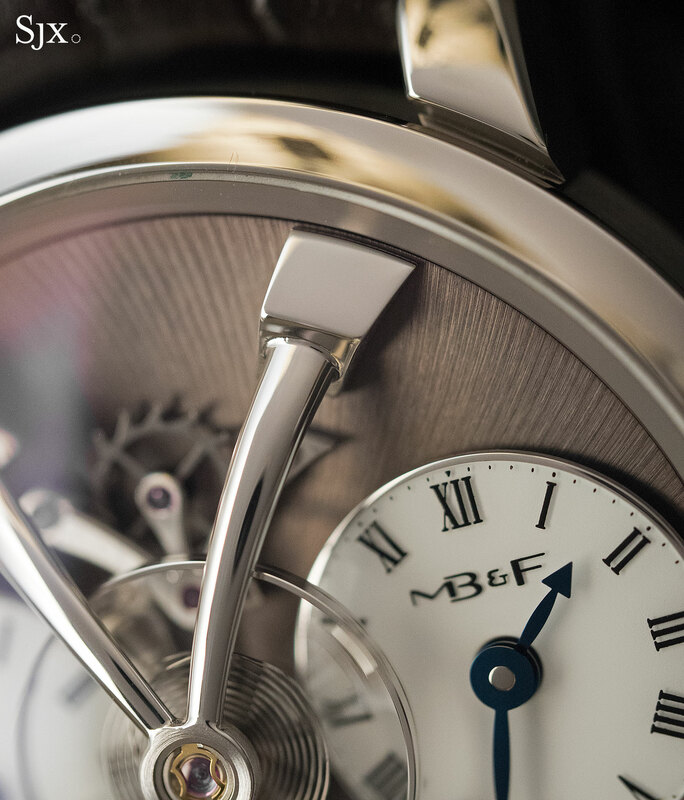 Introducing what seems like an eternity ago (but actually was just 2011), the MB&F Legacy Machine 1 ushered in a new era for the brand. 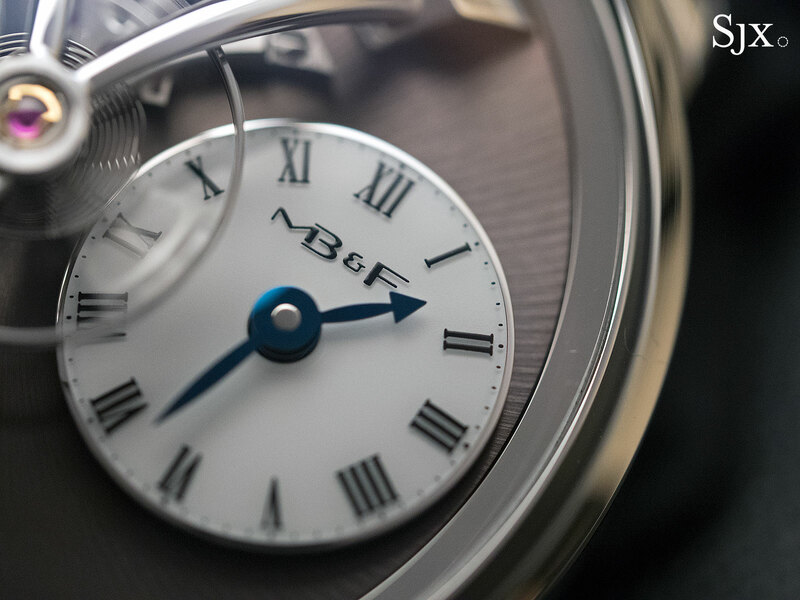 Inspired by 19th century watchmaking, the LM1 was the first round, conventional looking wristwatch by MB&F, better known for its jellyfish watches and robot clocks. And now the LM1 has come to an end with the Final Edition. Replicating the combination used for a limited edition produced for American watch blog Hodinkee in 2015, the LM1 Final Edition has a steel case and metallic brown dial. 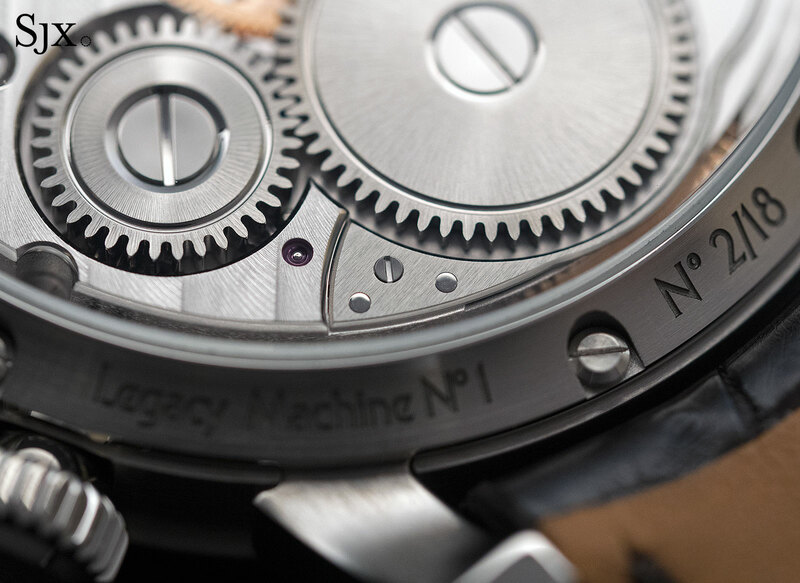 The dial is a hue that’s not too dark, perhaps chestnut, with the grained finish common to all Legacy Machine watches. While brown typically feels like a seasonal colour, the shade used here combined with the metallic finish gives it significant appeal. The colour of the dial gives it presence, without being loud. Beyond the colour, the front also differs from the earlier LM1s with the polished, rounded arms of the balance bridge. On its predecessors the arms were an angular, open-worked shape, while the LM1 Final Edition takes the rounded bridge from the LM101. And like the case, the balance bridge is steel, milled into shape by CNC machine and then polished by hand. 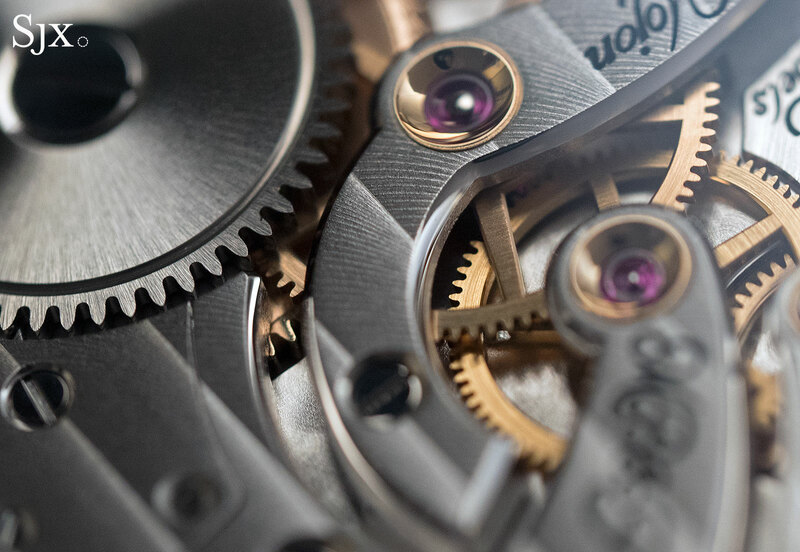 Being reminiscent of classical watchmaking as a form typically used for tourbillon bridges, the rounded steel bridge is more philosophically appropriate for the LM1, given the rationale behind its conception and the movement design. 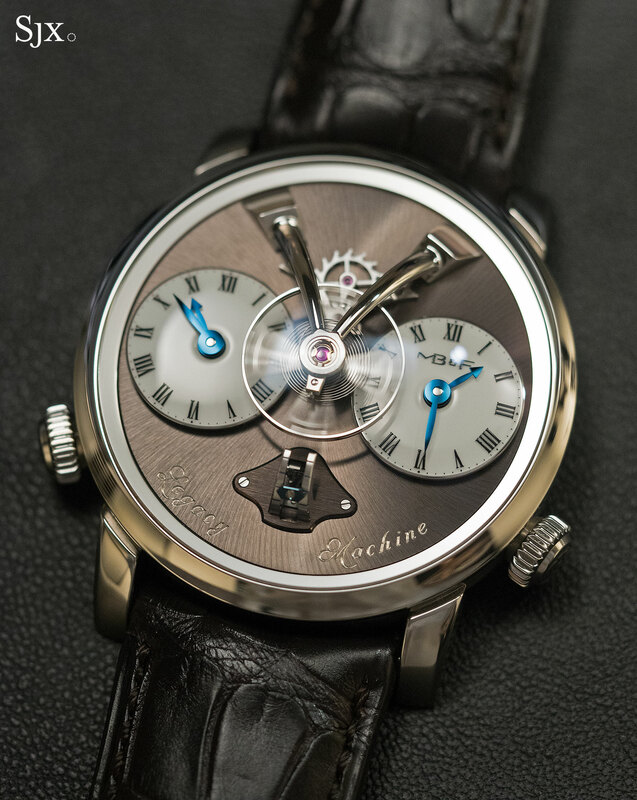 Mechanically the LM1 Final Edition is identical to its siblings, equipped with the hand-wound movement developed by Chronode and styled by Kari Voutilainen. Conceived to look like a vintage pocket watch movement, the bridges are long and curved, while four of the jewels are set in gold chatons. 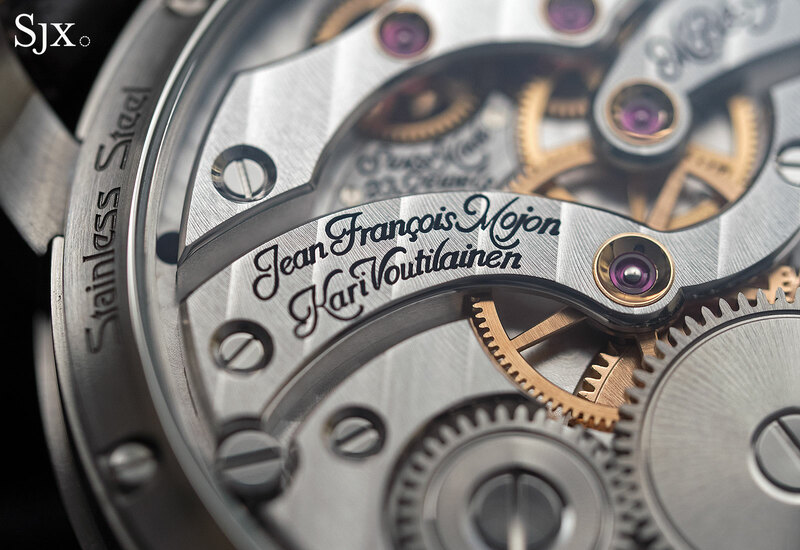 The decoration is reminiscent of Voutilainen’s work, though not actually done by the Finnish watchmaker. So the Geneva stripes on the bridges, for instance, have a harder grain than those in Voutilainen’s watches. 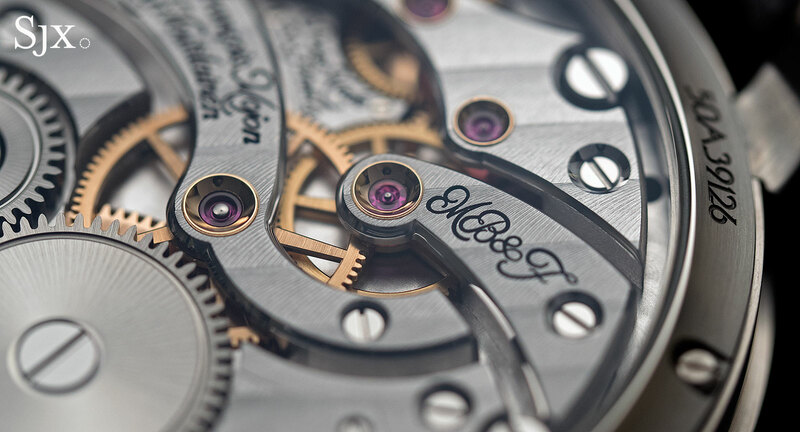 The finishing on the LM1 movement, however, very, very good and immediately appealing. Screws sit in polished countersinks while the bridges are all bordered by polished, rounded bevels. Ironically the case is arguably where it stands apart from the other LM1s, though it’s in the least expensive material possible. 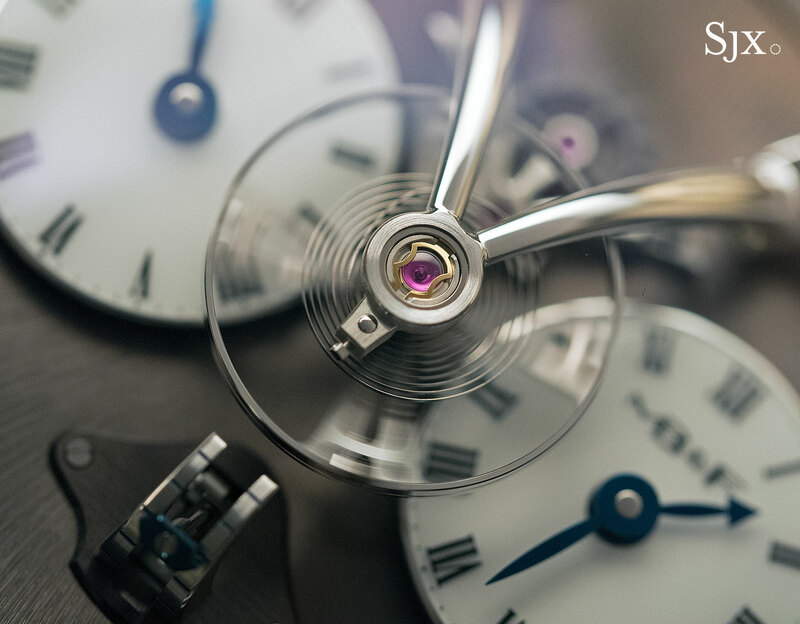 The dimensions remain the same 44mm by 16mm, but it’s noticeably lighter due to the weight of steel. 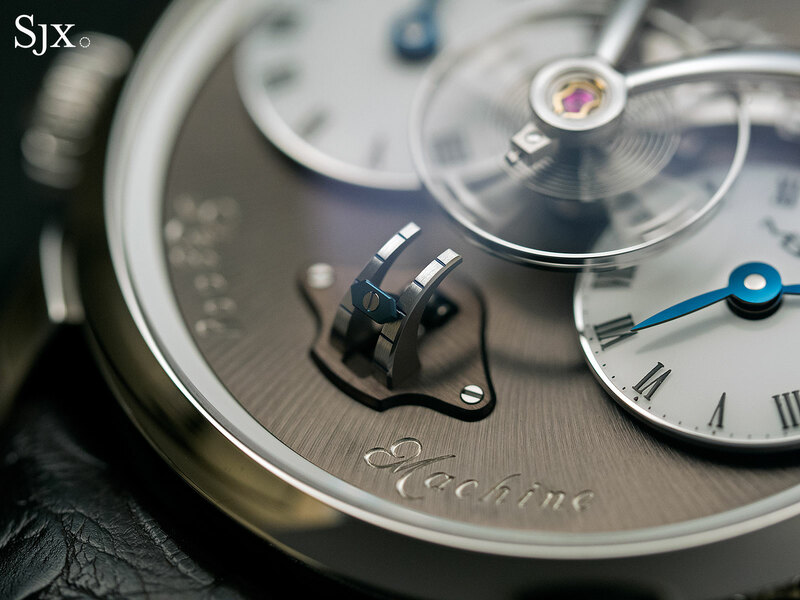 The choice of steel is fashionable, suiting the current demand for the material as being something rare and collectible (even fellow independent watchmaker F.P. 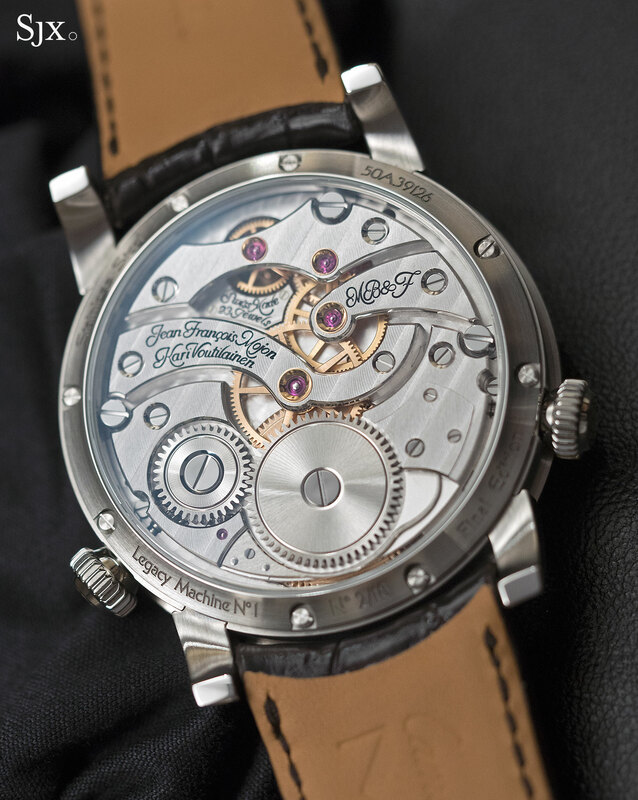 Journe used steel cases for the final run of his 38mm models). 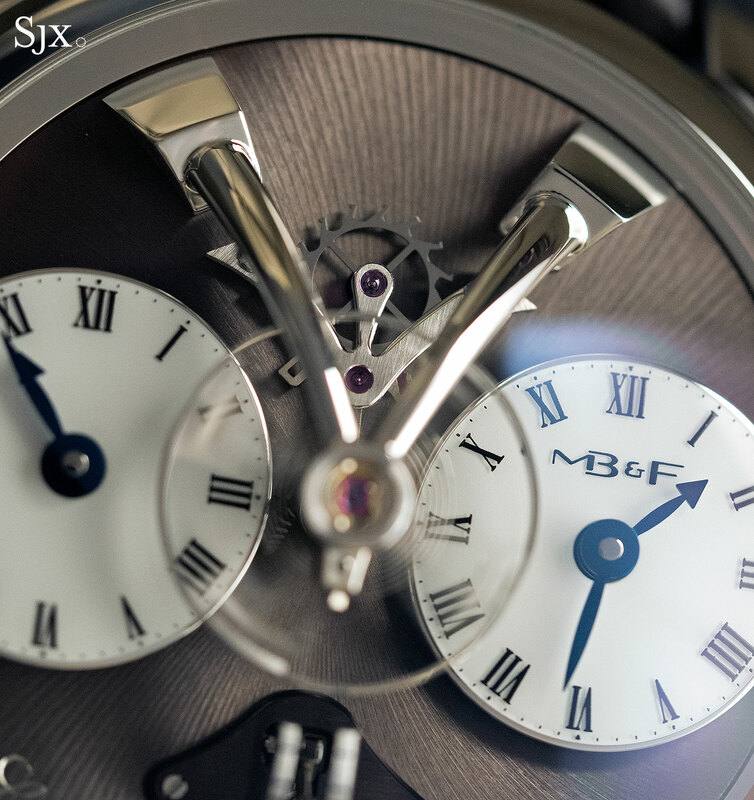 And MB&F’s announcement of the LM1 includes a hint that future final edition watches might be in steel as well. 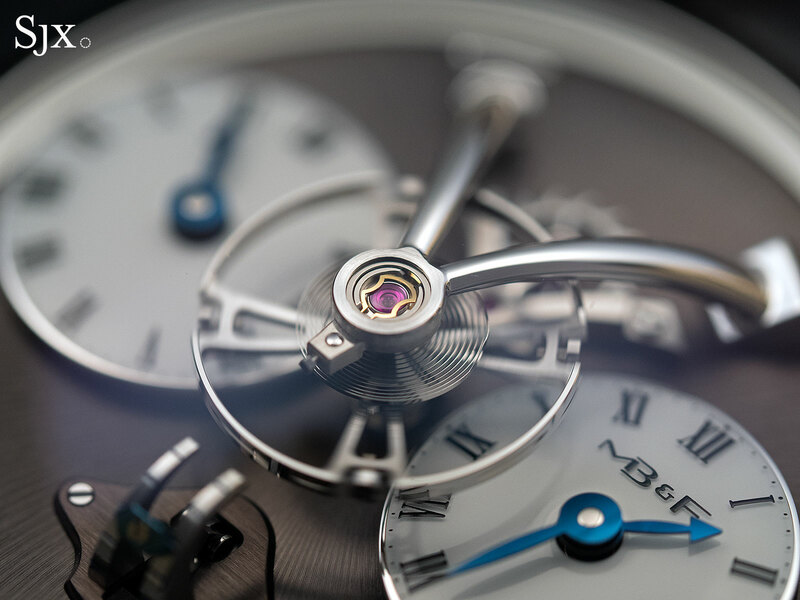 The LM1 Final Edition is priced at US$79,000 before taxes, and is available at MB&F retailers and boutiques.